This is something I am carrying on from my old blogs on good old Myspace, it was something I came up with as a concept idea as I was a bored student most of the time and decided to put together some things for what I really loved – films, comics and definitely games. It is something I would have loved to have seen in the 90s when most of these actors were in their prime doing their stuff, not now. 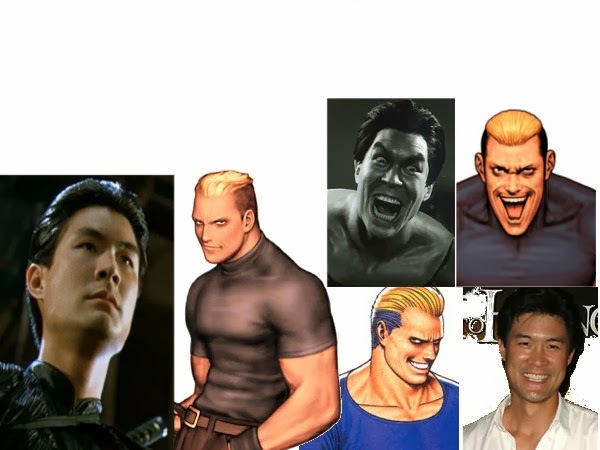 As a fan of the Fatal Fury games in the 90s, I used to always think it would have been amazing if it was turned into a film, I was such a big fan that I even came up with the characters that could be played by these actors. So here it is and do give me your opinions and let me know what you all think! WHY? 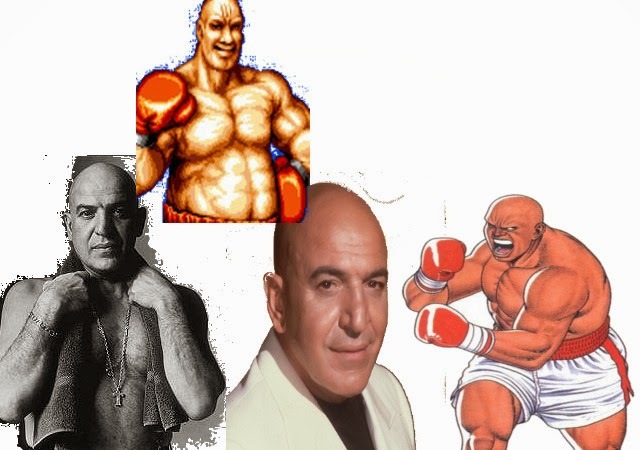 Loren Avedon has played many American martial arts heroes in films and with his skills as a martial artist (master of Korean arts; Tae Kwon Do and Hapkido) with amazing kicking ability, equally with both legs, he’s the right man to play the All-American hero – Terry Bogard. 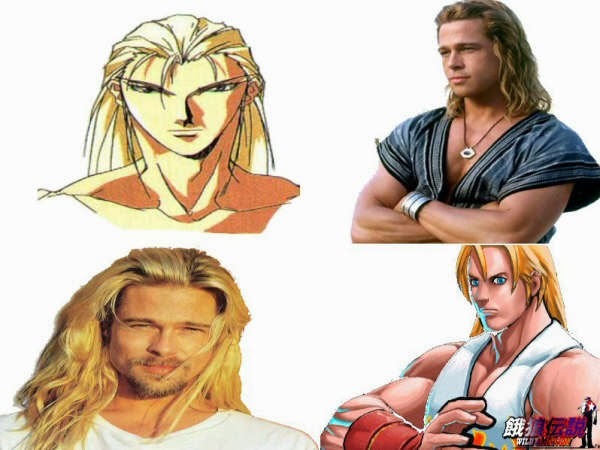 Whose skillset consists of various kicking moves, and also, I think Loren will look good in blonde hair too. WHY? Not only is he a great actor but quite an adept athlete too (as seen in Troy), also if the likes of Keanu Reeves could do what he did in the Matrix films, Tom Cruise do the same in the Mission Impossible series of films, Cameron Diaz do what she did in Charlie’s Angels films and even Eric Roberts do The Best Of The Best, then Brad Pitt can definitely do Andy Bogard – whose art is more punch based than his brother, Terry’s. WHY? 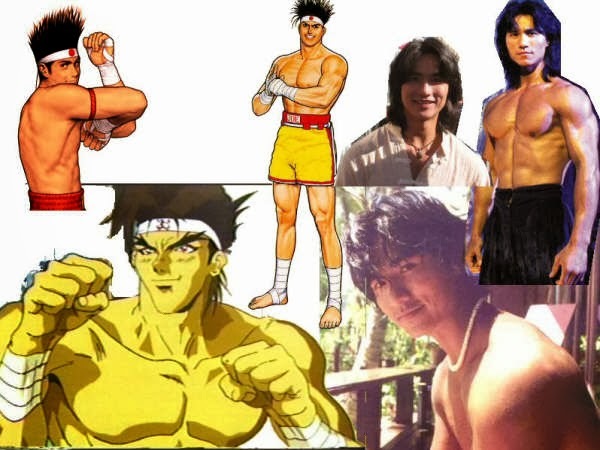 I know many will say Tony Jaa but he is Thai and Joe Higashi is Japanese, I understand that Robin Shou isn’t Japanese either but he is a better choice in terms of looks and also being trained in San Shou/Sanda (Chinese Kickboxing) AND Muay Thai, he seems to be the best choice so far – without mentioning Cung Le; cos I didn’t want a professional fighter but an actual actor for this part. WHY? Just look at this pic, they look just like each other and they’re both British! Gary Daniels is a British martial artist who trained in various styles, not to be underestimated, and instead of getting an American martial artist/actor to play this part with a bad British accent (which I do not wish to see & hear as I have seen and heard WAY too many), I think Gary Daniels is right for the part of this British bo-staff fighter, Billy Kane. WHY? I know one is blonde and other has dark hair but they do have other similarities. Their fighting styles are very similar – Aikido, Jujutsu, Bushido, Kobudo, etc. Samurai/Japanese style martial arts with lots of counter attacks and throws. 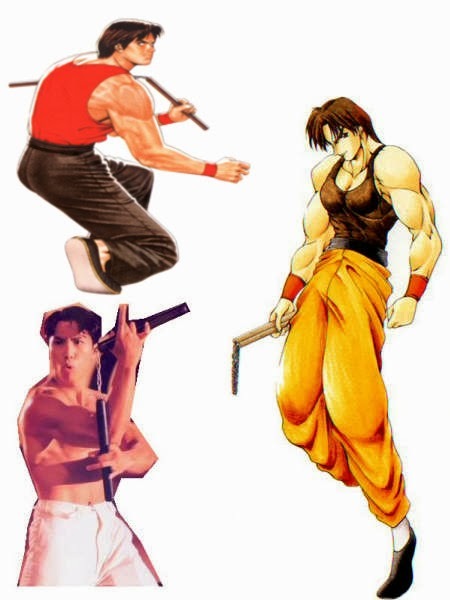 Also, their characteristics are very similar too – the slicked back hair, Japanese fighting style and of course being very arrogant! WHY? 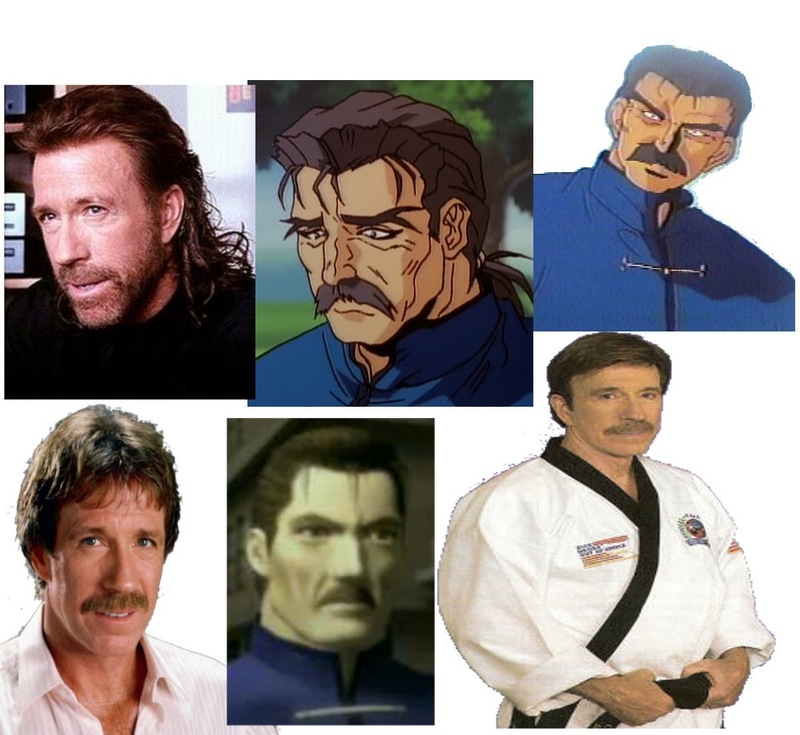 Jeff Bogard (the adoptive father of our heroes – Andy & Terry) is a very good father figure, positive role model, pillar of the community, really nice guy, respected champion martial artist and well liked by all who know him – all of Chuck Norris’ characteristics. 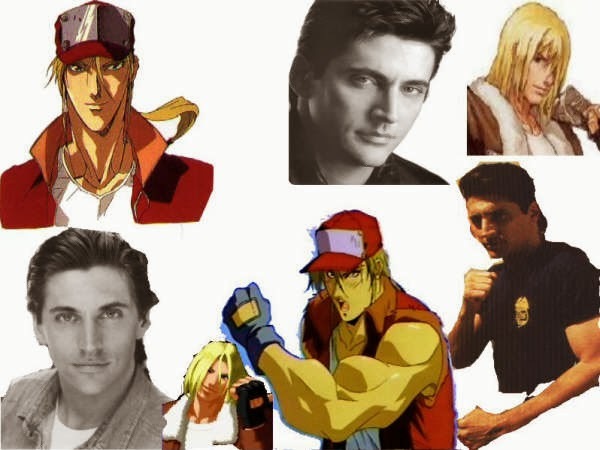 Also, Terry Bogard’s fighting style is derived from Jeff’s, having been taught by him and also both Loren Avedon and Chuck Norris are masters of Korean martial arts (Avedon – Hapkido & Tae Kwon Do; Norris – Tang Soo Do & Tae Kwon Do), I couldn’t think of anyone better than Chuck Norris to play this guy! AND Terry’s style of fighting is a very unique blend of street fighting and a mix of various other martial arts, and Chuck Norris has created a style known as Chun Kuk Do (The Universal Way – similar to Bruce Lee’s Jeet Kune Do [Way Of The Intercepting Fist]), which can be learnt by Loren for his character and also taught by Jeff Bogard to a young Terry. WHY? 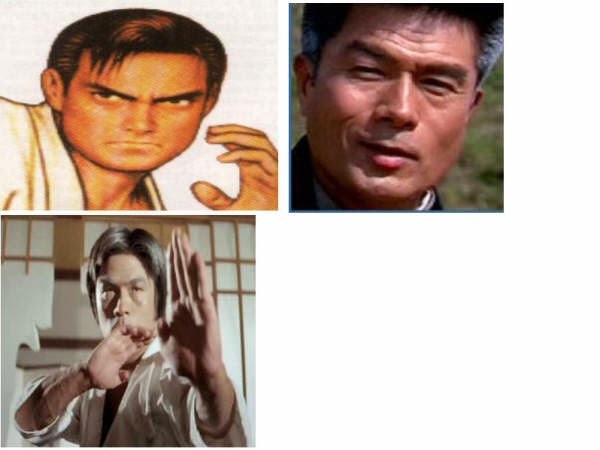 Very similar to Jeff Bogard in many ways and master of a full contact karate style (fictional Kyokugenryu Karate inspired by Kyokushin Kai Karate), a very powerful fighter with amazing skills and being Japanese, who else better than the Japanese Bruce Lee (Yasuaki Kurata; also a master of Kyokushin Karate) to play this character. I know the fans will say that he may have nothing to do with the Fatal Fury series of games but according to his back story (not really cannon), he was the one who defeated (and weakened) Jeff Bogard and Geese was the one who came in with the killing strike (cheap shot) so that is why I kept this character in here (and also, I am a big fan of Yasuaki Kurata). WHY? I think it is obvious, a German character being played by a German actor & martial artist. 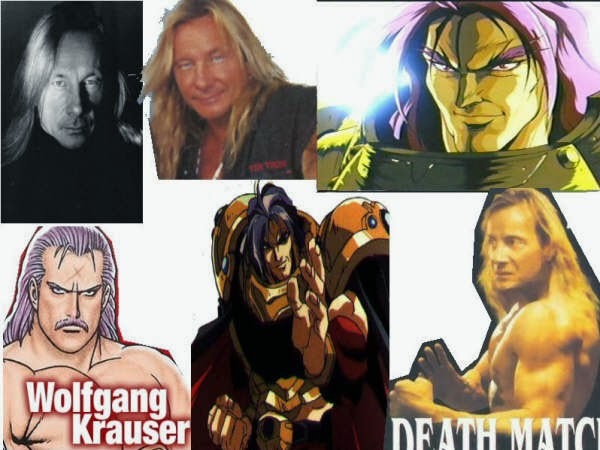 Wolfgang Krauser is a German aristocrat, a nobleman, who is a strong and powerful fighter yet still very agile and fast even at his height and size; in general Krauser is a true gentleman who is very kind and gentle but in battle he is a brute whose opponents end up being crippled by him. Matthias Hues; who is one of the nicest human beings you’ll ever meet (and I guarantee that as I had the honour and pleasure of meeting him), he is so sweet and kind but on screen he played some scary villains and for a big, muscular guy he can move very swiftly. 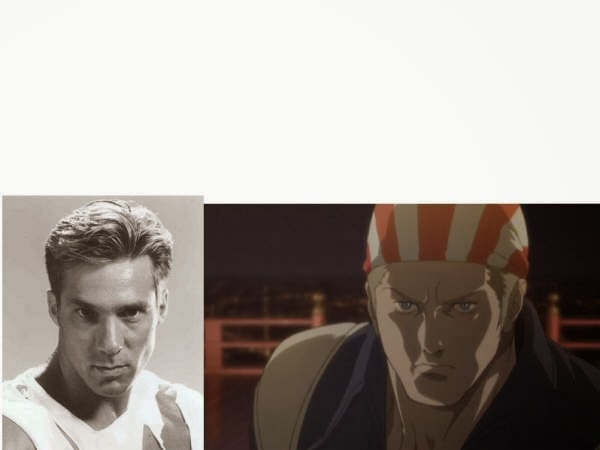 He was born to play this part; they’re both German men, standing at 2 metres tall, very muscular and agile fighters! 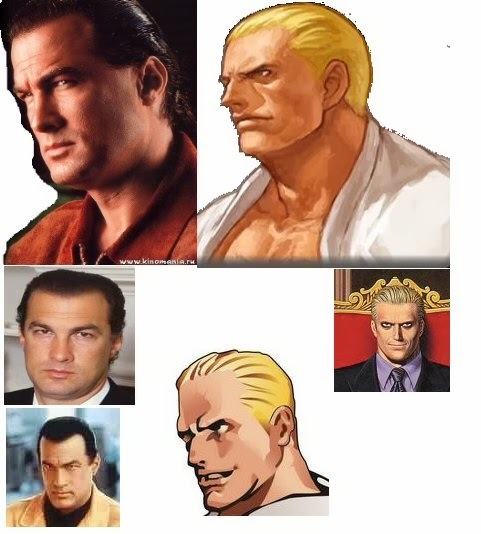 NOTE: I have Steven Seagal (dark haired) playing a blonde haired character (Geese Howard) and I have a blonde haired man (Matthias Hues) playing Wolfgang Krauser (who has dark hair). If they don’t mind dying their hairs for the fans but I would keep it as these are iconic actors and their characters are half brothers too! WHY? 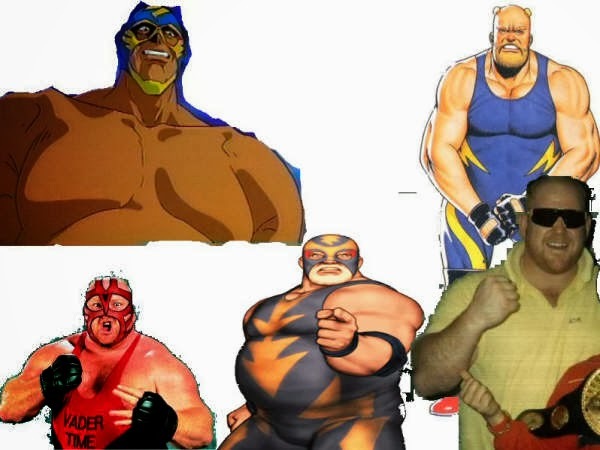 Other than the obvious, this character being based on this WWF wrestler I think we don’t need to say much more. I know wrestlers as actors don’t always work out, them being bad actors (apart from Jesse Ventura) but he was quite good as Frankie The Enforcer Sr in Boy Meets World. WHY? Smart, skilled martial artist and an undercover cop. Tammy Lauren is all those things who has played many cops, I also thought about Kristy Swanson who looks the part more but her acting has a lot to improve on after seeing her play Buffy The Vampire slayer in the movie and seeing Tammy Lauren play the cop in Martial Law (with Sammo Hung) I think the choice was obvious (for me anyway). WHY? 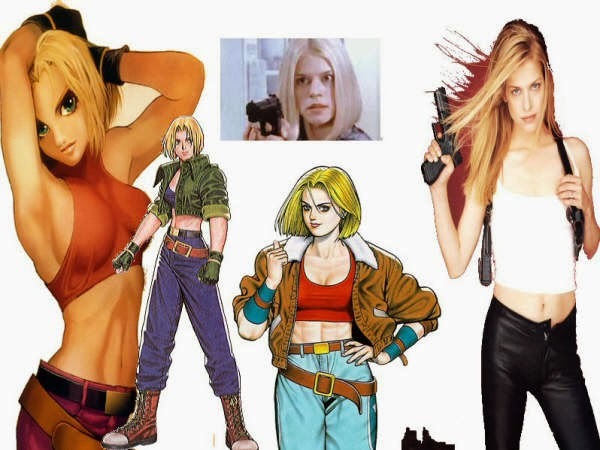 I understand that Sung Hi Lee is Korean and Mai Shiranui is Japanese, but she does look the part and seeing her play Lady Shiva in Birds Of Prey live action TV series and even a femme fatale character in Mortal Kombat Conquest, who better than this glamour girl to play the ninja bimbo. WHY? 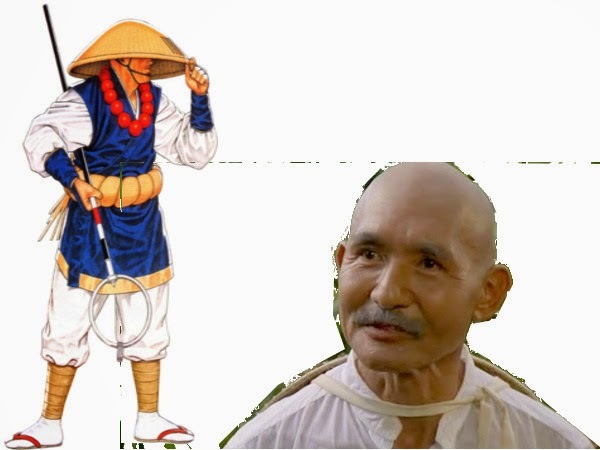 The famous Mr. Miyagi and Master Tung look alike, act alike and even fight alike. 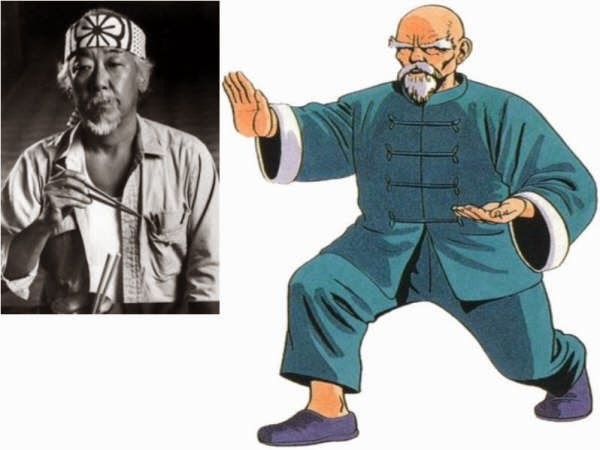 Can’t go wrong to have Pat Morita to play this wise old kung fu master. WHY? 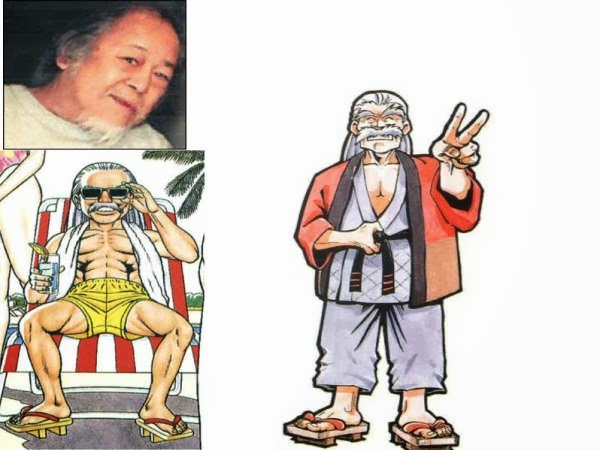 Yamada is a comic relief but also a wise old master, Wong is popular for his role as the funny mystic in Big Trouble In Little China and also playing the funny old ninja master in the 3 Ninjas series of films, who else better to play this kookie (but wise) old judo master. NOTE: I have Pat Morita (a Japanese) playing a Chinese character (Tung Fu Rue) and a Chinese man (Victor Wong) playing a Japanese character (Jubei Yamada). WHY? 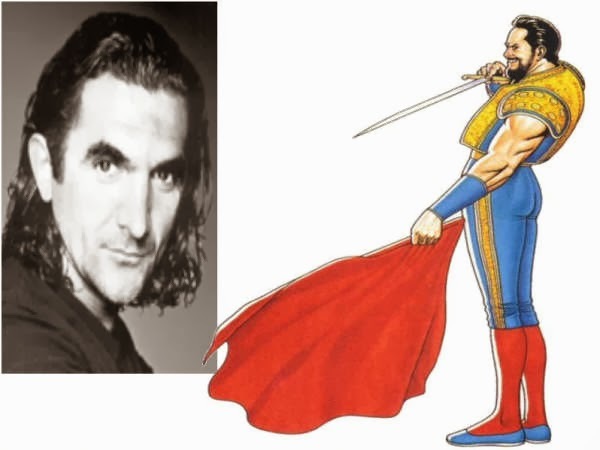 One of the best kickers I have seen, an excellent martial artist and fight choreographer, most popular for his role as the assassin with spurs on his cowboy boots in Double Impact (with Van Damme) and also played the Spanish fighter in The Quest (with Van Damme too) – thus best person for the job, just needs to grow a beard. WHY? 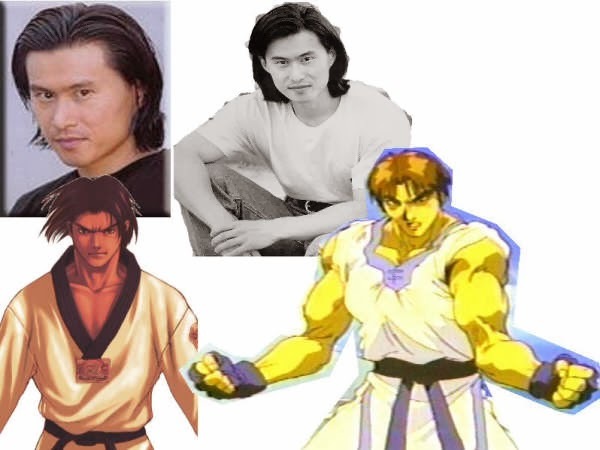 Korean-American martial artist, stunt man and actor, highly skilled in Tae Kwon Do and Wushu. This man has the skills, the looks and the talent to play the high flying and fast kicking Tae Kwon Do master, Kim Kap Hwan. Interestingly enough, rumour has it, that Kim Kap Hwan’s sons; Kim Dong Hwan and Kim Jae Hoon, in the sequel – Garou: Mark Of The Wolves, were very much inspired from Ho Sung Pak and his brother, Ho Young Pak. WHY? 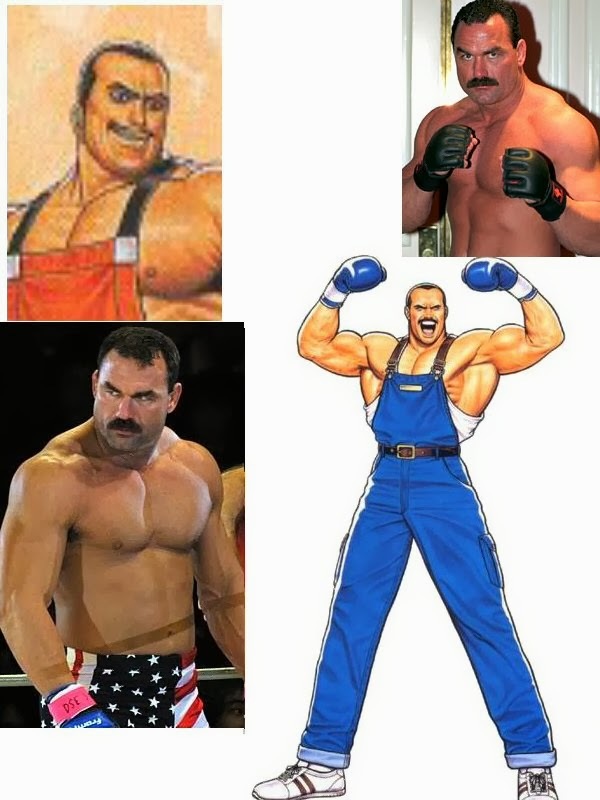 Not only in looks but in skill too, Don Frye is a mixed martial artist and cage fighter who has the looks, the build and the skills to play this street fighting kickboxer, who is a play on Super Mario. WHY? A good actor who is also very skilled in capoeira that looks the part too. 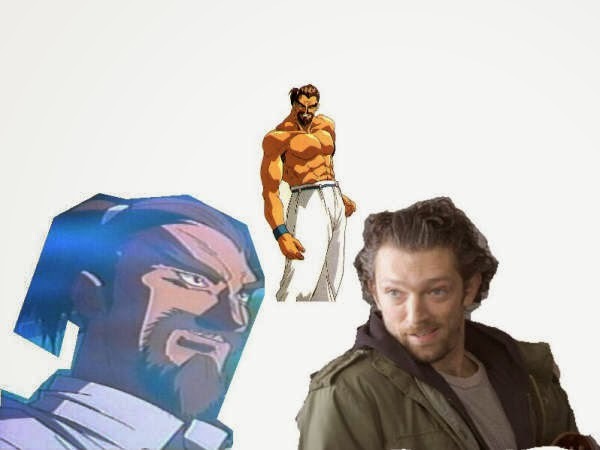 Not sure if many people know that Vincent Cassel is a highly skilled Capoeirista, do see him displaying his Capoeira skills in films like Brotherhood Of The Wolf and Ocean’s 12. He looks the part of Richard Meyer and even has the Capoeira skills, even though Richard Meyer is only a minor character. WHY? 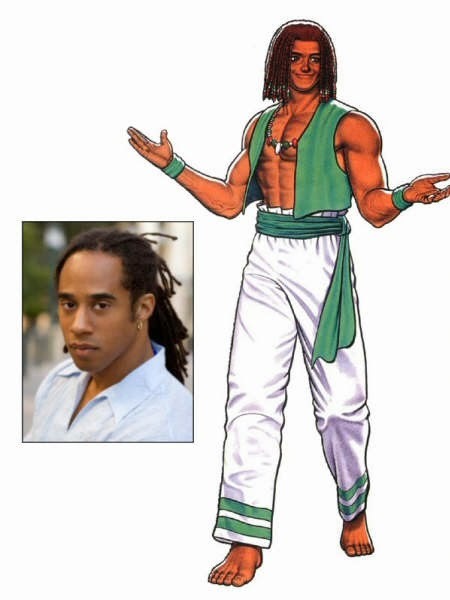 Cool black guys with dreadlocks that are maestres of Capoeira, enough said. WHY? 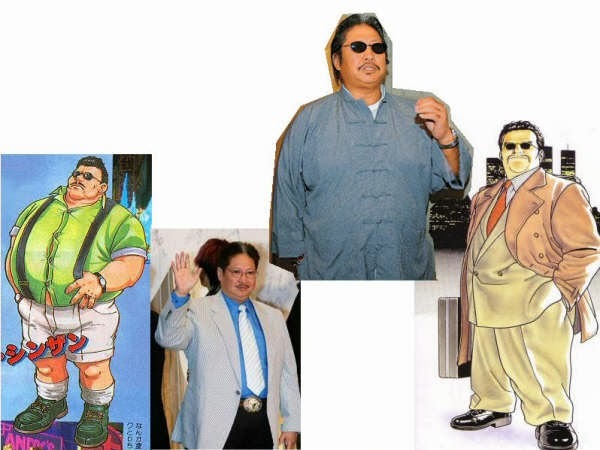 I could not find anyone better to play this fat, Taiwanese Kung Fu fighter who is also quite swift, agile and acrobatic, also looks good in a suit while doing what he does too. WHY? A Hong Kong cop who is a master of the nunchaku and northern Chinese style Kung Fu, with his characteristics being a mix of Bruce Lee (from Enter The Dragon) and Jackie Chan (from Police Story), so Donnie Yen is the next best thing. WHY? A Japanese mystic who is an expert in with weapons mainly and looks good in a kasa hat, being a fan of the old master in American Ninja and American Samurai, I just thought he would be best as he played those parts really well and seemed very mystical too as the ninja and samurai master, also he looks good in a kasa (as seen in American Ninja). WHY? A towering psychopathic Yakuza gangster/thug, seeing Bruce Locke play the Japanese corporation’s cyborg in Robocop 3 and also the treacherous Shang Tsung in Mortal Kombat Conquest TV series, I could not think of anyone better and also standing at 6’2″ tall he has the height, build, talent and looks to play this crazy criminal. WHY? 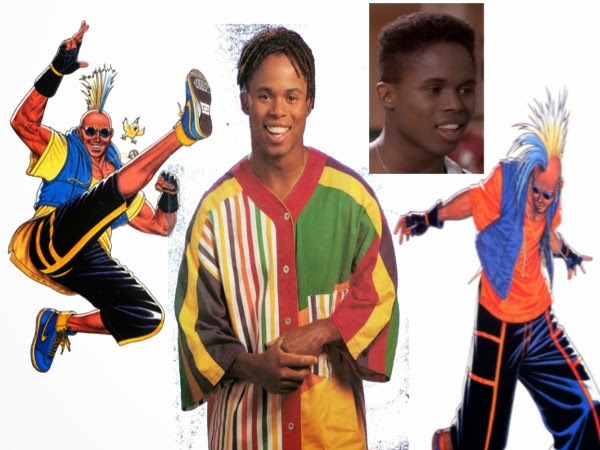 A break dancer with martial arts skills too (black belts in Goju Ryu Karate, Tae Kwon Do and Capoeira), who other than the guy who played one of my favourite Power Rangers back in the days to play the funky dancing street fighting b-boy, Duck King, with skills just like “Hip Hop Kido” (Zack Taylor the Black Ranger’s martial arts mixed with dancing) he looks the part and can definitely pull off the moves too. WHY? 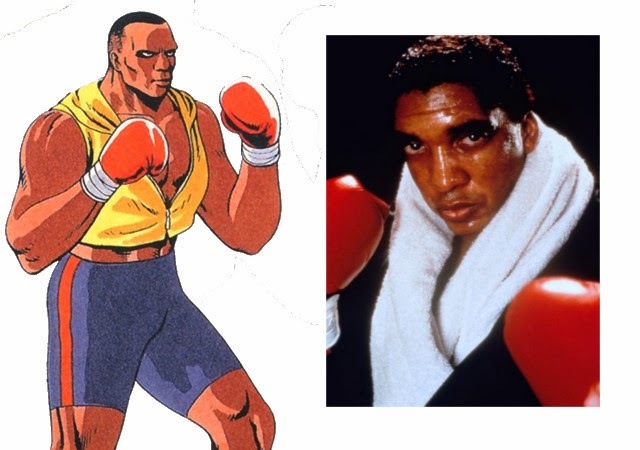 I know this character is inspired by Mike Tyson (like Balrog/Mike Bison from Street Fighter) but after seeing Stan Shaw, playing a boxer in the film Snake Eyes (as seen in the pic), with Nicolas Cage and also a boxer in the first Rocky film (Big Dipper), he’s one of the boxers in Mickey’s gym who gets Rocky’s locker. An excellent actor and from what I have seen in Snake Eyes & Rocky, definitely the man for the job. WHY? Whenever I saw Kojak reruns on TV, I always thought that Telly Savalas would make an excellent Kingpin back in the days, if there was ever a Spiderman and/or Daredevil film; he had the height, build and the looks. When I first played as Axel Hawk, I thought it was the Kingpin with boxing gloves on. WHY? 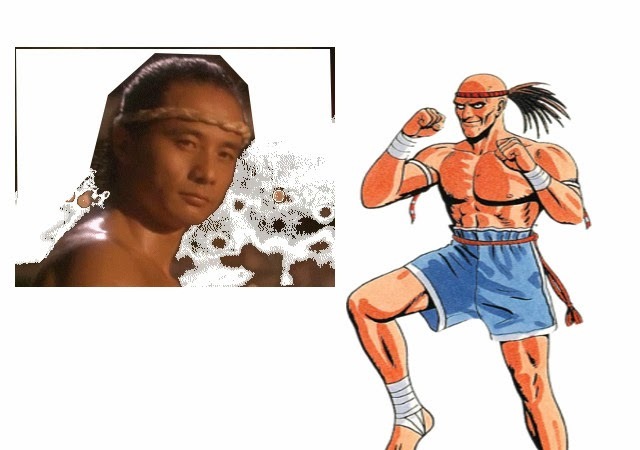 After seeing him play the Muay Thai (Siamese) fighter (as seen in the pic) in the film, The Quest (starring Van Damme & Peter Malota), I thought he would have been a good Joe Higashi but then if not Joe then why not his rival Muay Thai fighter, Hwa Jai! Please do respond and let me know what you think of this blog, the characters and my choices.